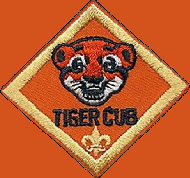 If you are a boy in first grade through fifth grade—or you’re 7 to 10 years old—then Cub Scouting is for you. It’s for your family, too. This is the first and the biggest of the three Scouting programs (Cub Scouting, Boy Scouting, and Venturing) from the Boy Scouts of America. Every Cub Scout is a member of a Cub Scout pack. A pack is a large group of boys. The pack is divided into smaller groups called dens. Each den has about six to eight boys. All of the Cub Scouts in a den are about the same age and live in the same neighborhood. Cub Scouting means “doing.” You have lots to do as a Cub Scout—crafts, games, sports, songs, stories, and puzzles, to name a few things. Much of the fun happens right in the den and pack. The den usually meets every week, and the pack meets once a month all year long. At den meetings and pack meetings, Cub Scouts do different things for fun and learning. Cub Scouts also go to events like the annual blue and gold banquet, field contests, and derbies such as the pinewood derby. They go on field trips. They go camping and have other kinds of outdoor adventures. They take part in community events. Cub Scouts do all sorts of exciting stuff! Whatever it is that you enjoy, you’ll have a chance to do it in Cub Scouting. While you’re having fun, you’ll also be earning badges and awards. You’ll work on projects with your parents or other adults in your family, and all of you will feel good about the things you accomplish. When you have earned a badge, you and an adult member of your family take part in a ceremony. The badge is given to the adult, and he or she then gives it to you in front of the whole pack. This is a way of saying “thank you” to your family for their help in earning your award. 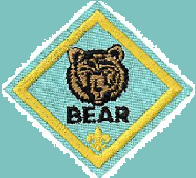 The most popular awards for Cub Scouts are the advancement awards. Boys do requirements to advance and earn their badges of rank: Tiger Cub, Bobcat, Wolf, Bear, Webelos, and the Arrow of Light Award. The Arrow of Light is the highest award in Cub Scouting. 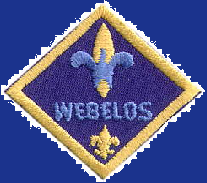 Webelos Scouts also earn activity badges. The Cub Scout Academics and Sports program is popular, too. Cub Scouts get to learn about favorite subjects such as art, math, science, and citizenship. Or they play individual and team sports such as archery, gymnastics, skating, or soccer. You don’t need to be a star athlete to play Cub Scout Sports. You’re a winner when you do your best. 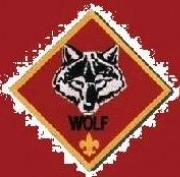 Cub Scouts can earn many other awards and medals too, sometimes by themselves and sometimes as members of their pack. They can earn or help their pack earn Quality Unit awards, religious emblems, the Emergency Preparedness Award, the Outdoor Activity Award, or the World Conservation Award. When you earn an award in Cub Scouting, you learn new skills. 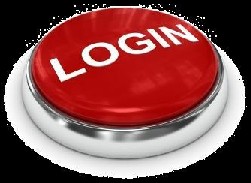 You also get to use your new skills and your new knowledge in projects and demonstrations. You show what you know. People get to see what you’ve learned as a Cub Scout. Kiwanis - Cub Scout Pack 405's Sponsor!